When I was growing up, Western Swing was, in some way or another, a part of my life. My folks were avid country music LP collectors, and they liked a broad range of styles. I tended to gravitate toward Bluegrass a little more than the other stuff, but I especially enjoyed the Western Swing sound…I heard a lot of it around the house. There was Western Swing spiced music, like Hank Williams or Hank Thompson, hot Hillbilly Boogie artists like Ernest Tubb’s Texas Troubadours (Country Dance Party is a cornerstone of any Hillbilly Boogie collection), Tennessee Ernie Ford’s band (which included Speedy West and Jimmy Bryant…wowsa), or even straight-up Western Swing such as Bob Wills and Spade Cooley. As I grew older, I looked high and low for that music, and I bought everything that I could find. I had a pretty impressive collection of great stuff. But gradually, as I found cd after cd, something began to bother me. Most of the great recordings that I found were from the 1950’s…weren’t there people still playing this music? If they are, is it watered down, or does it still swing like Tarzan? I started asking various musician friends if they had heard of such a thing, and they gave me tips. I started seeing the modern groups. Deke Dickerson, Big Sandy and the Fly-Rite Boys, Wayne Hancock. I liked what I was hearing for the most part, for sure. Mostly though, I hadn’t been fully convinced. Nobody seemed to fit in 100% to that sound that I grew up with. Then I heard The Lucky Stars. I got their first album, Hollywood & Western, and I was hooked! The original songs, the great arrangements, the solid playing, it really sent me. I saw them at the first opportunity that presented itself and was blown away. The vocals by Sage Guyton are incredible and totally convincing (which is a lot more difficult that it ought to be), the rhythm section is like a big band heartbeat, and the Bigsby steel guitar is masterfully played by the incredible Jeremy Wakefield. There’s not much more that a fan of the music could ask for…except for more! So I patiently awaited their next album, and as I waited, I spun that first CD as many times as my desire to hear great Swing music dictated. Well, I recently got the new disc, Stay Out Late with The Lucky Stars, and I was blown away again! The band is in fine form, the songs are just as good, and the playing and arranging is at a whole new level, with lots more room for great solos. I enjoy every minute of this disc, and there are so many great songs here to choose from. The track ” Real Good Lookin'” is one of my favorites, “(Mama’s Got) The Rundown Daddy Blues” swings like it has no right to, and the final cut on the disc, the title track, “Stay Out Late,” is a hot instrumental as good as any to be found on a 1950’s record. In the end though, it’s pointless to give any particular track more attention than the others…put the CD player on random, and every time it plays, your ears are in for a treat. 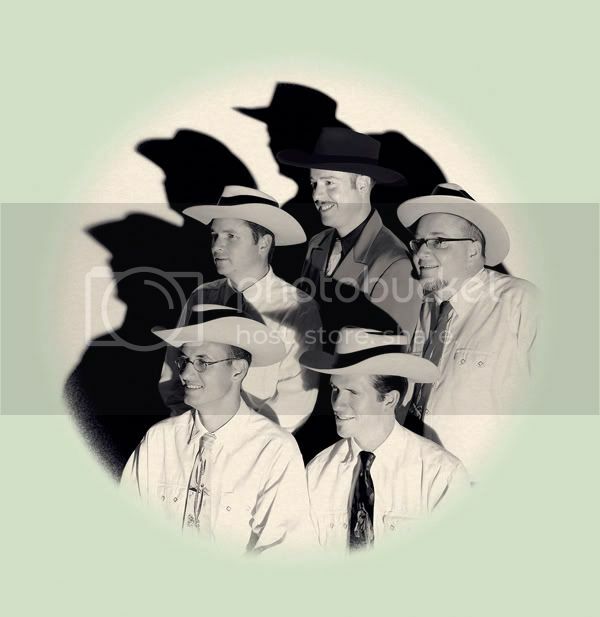 I couldn’t recommend this band more to any fan of the Western Swing sound. All of what I look for is there, and more. It’s great to see people in this here modern age so in touch with the sound that made Western Swing great. If you love this music, and I suspect that you do, I think that The Lucky Stars will hit the spot. So head on out to the Tractor this Friday night. You’ll get to catch Seattle’s best rockabilly as well, with the sparkling Roy Kay Trio and young wunderkind Vince Mira. AND: Be sure to stagger over to Conor Byrne’s Friday night for Caleb Klauder’s triumphant return as a Cajun Honky-Tonk megastar! He’s bringing the full band plus Joel Savoy & Jesse Lege. Check it out on Facebook!